You are at:Home»Featured»Kids»Sparkles the Unicorn is Cute AND Useful! I’ve seen unicorns on everything from Starbucks drinks to T-shirts to slippers. Even adults are obsessed with unicorns (sometimes even more than the kids are). It’s a trend that continues to pick up speed in every category from home decor to fashion to food. 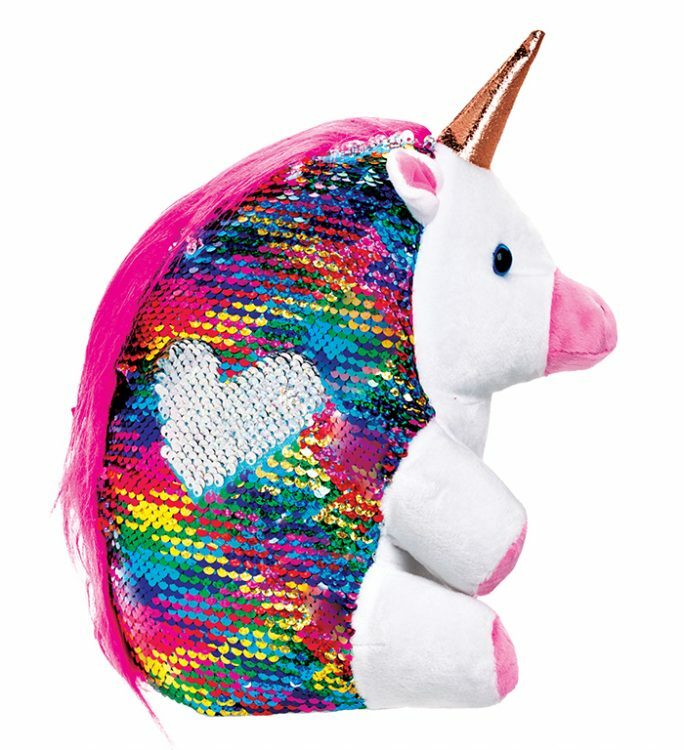 Just like Happy, Sparkles is a weighted, reversible sequined pet with various felt stickers to use to create your own unique pet. But it’s a UNICORN. The sequins are really bright and fun, and though the colors are slightly more feminine, we found the boys were just as obsessed with Sparkles as the girls were. For fidgeting and sensory overload, Sparkles did the trick to engage and provide a calming effect. 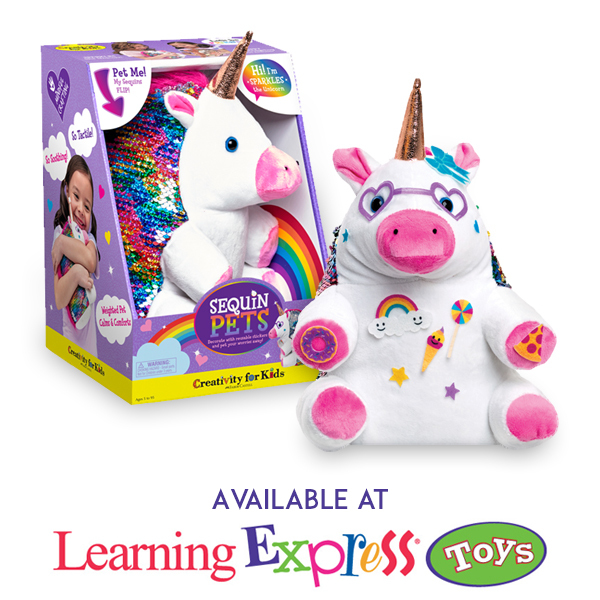 Sparkles is $24.99 and is exclusive to Learning Express toy stores starting this month and throughout the summer. Come fall, Sparkles will be more widely available at other online retailers and big box stores. I don’t know about you, but I don’t see the unicorn trend ending any time soon! Are unicorns just a fad or do you think they’re here to stay? Its all time entertaining game and you will play this game with full freedom as you should try to play this game tower bloons defense 5 this maximum played game many person can play it same on time to enjoyed it. Cute and useful indeed. They looks amazing. 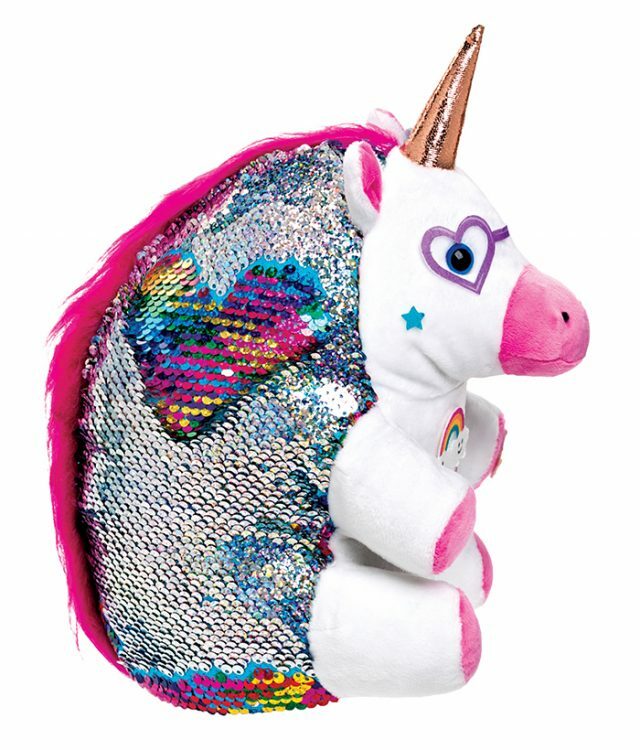 Sparkles Unicorn is very cute, a beautiful toy.